It began in the Medieval era when milk was curdled with ale to create a beverage commonly referred to as “posset”. However, no written record of eggnog existed until the 1700s where it was found in a poem written by an American clergyman. In the centuries since, different variations of it have been developed in North and Latin America, parts of Europe as well as the Caribbean. Germany’s version appears to be the one that differs most from traditional eggnog. It is named “biersuppe” and contains tea, lemon juice, cloves and beer. Another popular version made with wine is also enjoyed during the holidays. 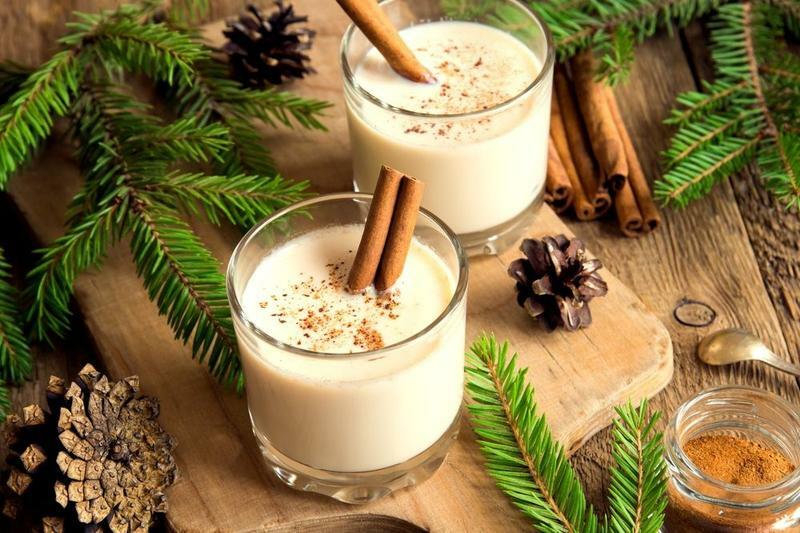 Coquito is made in Puerto Rico and is often drunk both on Christmas and New Year’s. It is coconut-based, consisting of coconut milk, lemon zest and rum. Many variations of it exist as some recipes call for ice cream, horchata and ginger. French natives would often drink a version of eggnog as a remedy for a cough or cold – it contains orange flower water, milk and eggs. Commonly referred to as “lait de poule”, this particular type of eggnog appears to be a simpler version of the traditional one. Rompope is an eggnog-like drink popular in El Salvador, Nicaragua, Mexico, Belize and Costa Rica. It has a darker yellow colour than traditional eggnog due to the amount of yolks used in it. However, rompope recipes are relatively similar to it due to the fact that it’s made with eggs, milk, sugar and alcohol. In the South, eggnogs contain a healthy serving of heavy cream and bourbon, Grand Marnier or Southern Comfort. Some call for vanilla pudding which provides a creamy consistency. These versions appear to be one of the richest due to the cream and pudding used to make them. Regardless of the type one prefers, eggnog is a tasty Christmas treat with lots of international varieties. It therefore deserves to remain an important and much-loved holiday beverage staple.